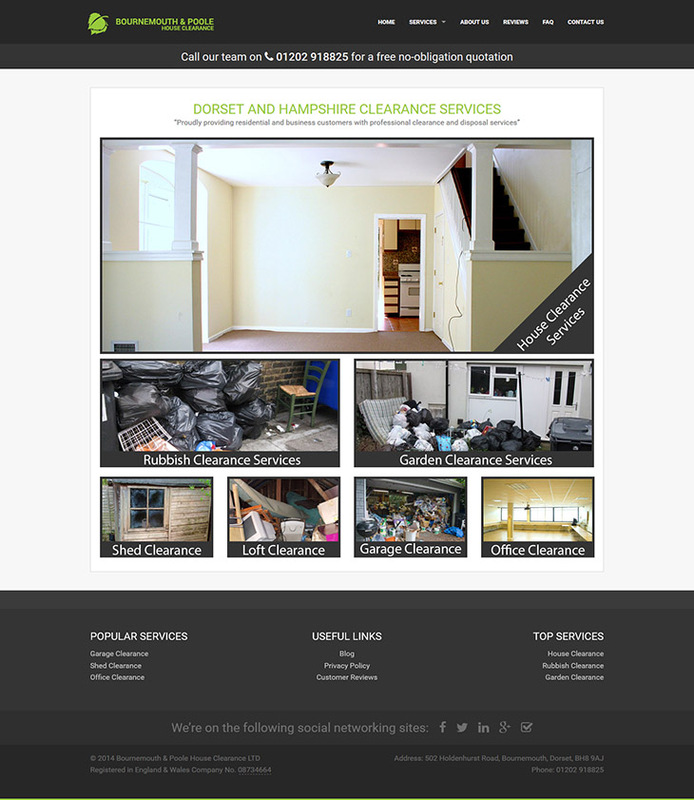 The managing director of Bournemouth and Poole House Clearance came to BYBE because they wanted help taking their business to the next level. Their previous website was dull, unbranded, non-responsive and had major content issues that prevented them having first page rankings. We learned a lot about their business and by using our knowledge we was able to provide advice on what actions we could take to make their business become more successful online. We completely scrapped their old site, in fact we went as far as even informing them to abandon their old domain due to the bad reputation it had with Google. 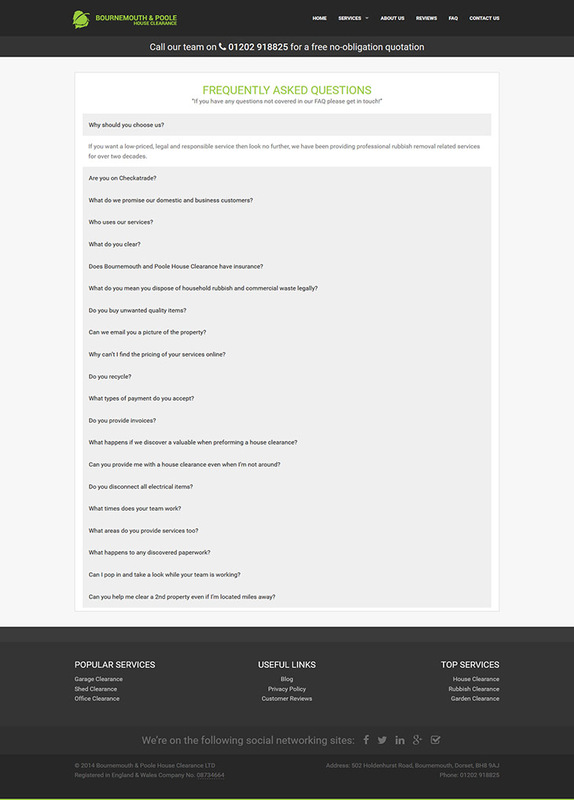 They now have a brand new domain name, a new site and GREAT LOCAL SEO (Bournemouth) RANKINGS all thanks to our professional advice and website design services. 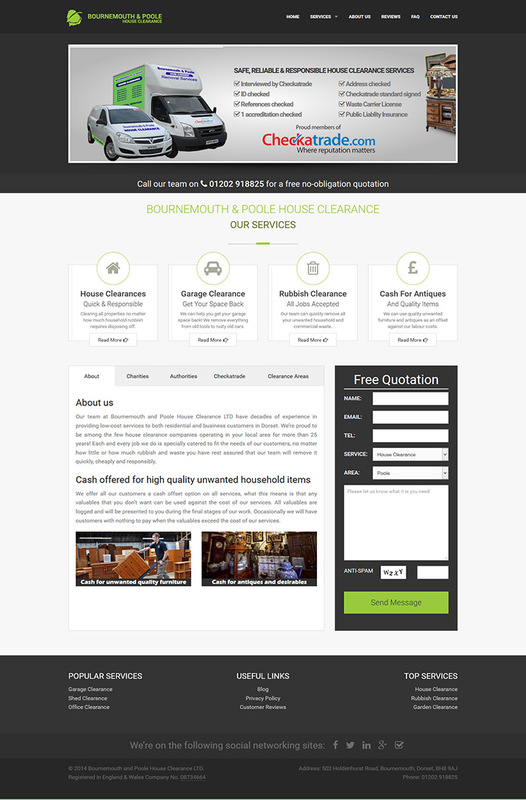 Bournemouth and Poole House Clearance was designed and built using Zurb Foundation 5 for WordPress. 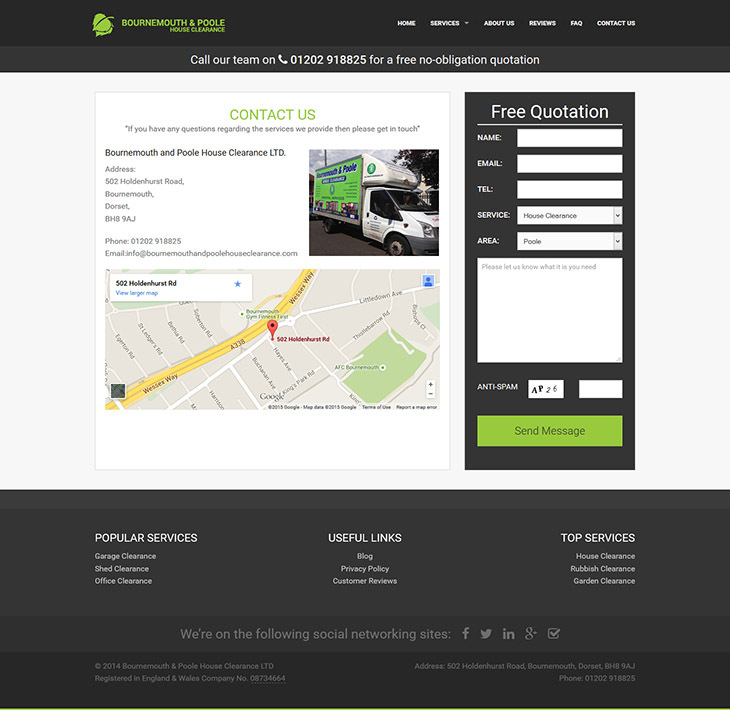 It is fully responsive in design and has many services pages, flexible contact form, social media integration and a blog. We have also provided various local SEO services to help establish first page rankings on Google and Bing. We continue to this day to manage their website on going with important security updates and provide next-step advice.